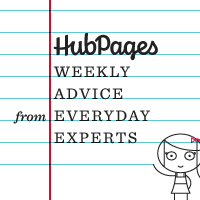 Today we are proud to introduce Weekly Advice from Everyday Experts: Episode 1: Vintage Sizing vs. Modern Sizing – HubPages’ first ever podcast. In this inaugural episode, Robin Edmondson and Simone Smith discuss evolution in clothing sizes, as chronicled in a very interesting Hub by Tess45. Be sure to listen to the podcast (pardon our newbie mistakes)- and keep an eye out for more to come! Next week, Robin and Simone will venture into swamplands and discover living fossils. all i get is a blank image? @jimmythejock – try the link. You can right click and download the file directly from there. And @Bryan – LOL! Oh, you’ve made me blush. how interesting! the hub and the podcast. thanks. Props to you, too! Seriously, I’ve been puzzled about the word props for a few months now. Since I am reputed to be something of a walking dictionary, it embarrasses me not to know it or even be able to successfully look it up! Audio is clear but no picture. I am on the Android/PC platform and I believe that you are recording through Apple OS, please correct me if I am wrong. Please provide updates and support. Thanks! A little research tells me that .m4a files are audio only files. So, I suspect that no video is not a “problem” but just the way it is supposed to be. I didn’t know until I looked it up. That might be the answer @JSMatthew @jimmythejock.